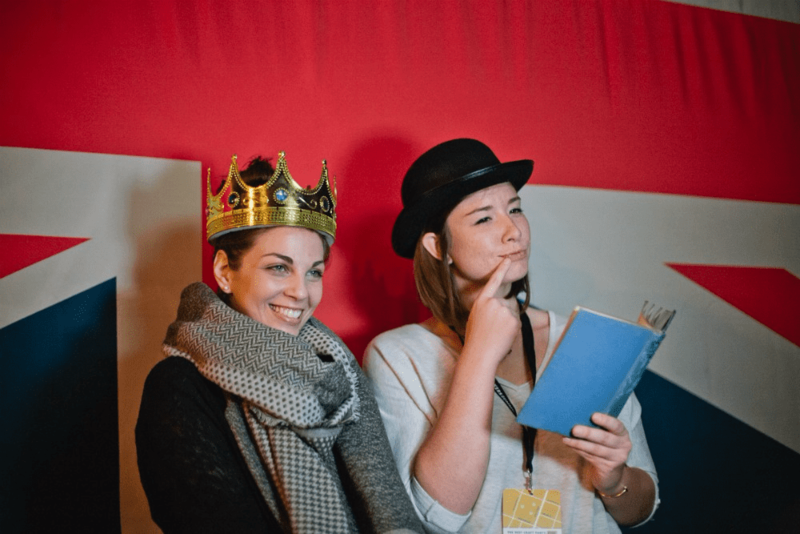 We were so delighted to join our friends of Makers Collective at their annual business conference, The Makers Summit, in Greenville, SC in early March. 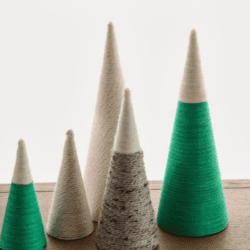 The good folks of the Makers Collective sure know how to present an amazing event, and we're delighted to have them stopping by the blog to share a few of their favorite projects from this year's conference. 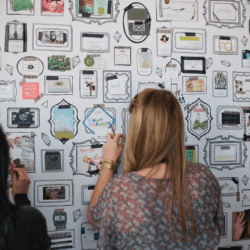 Makers Collective co-founder Lib Ramos shows us how to re-create the brilliant photo backdrop featured this year at the Best Craft Party Ever! 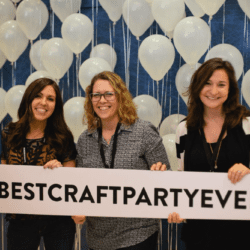 Lib: As part of Makers Summit, we host The Best Craft Party Ever. This year, the party was actually a series of progressive parties, and each stop featured food, drink and a craft project to complement the party theme. 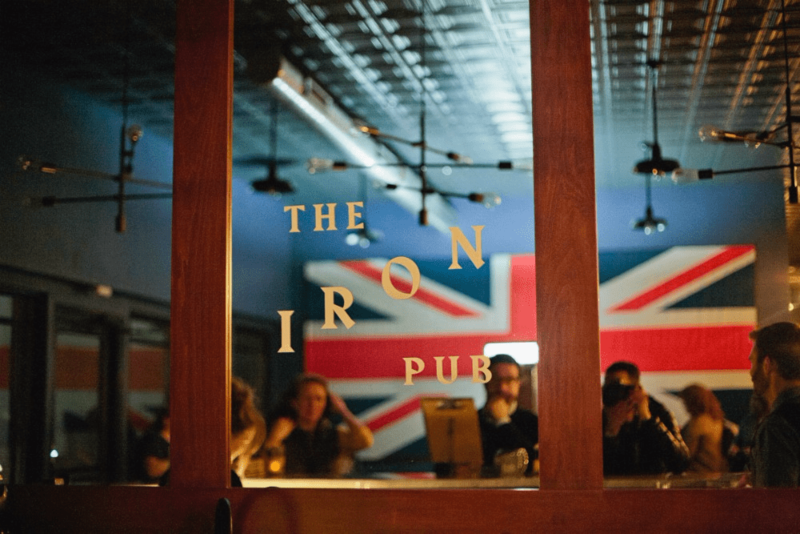 One of the party stops was a (made up) British Pub. This party was held at (and sponsored by) The Iron Yard. 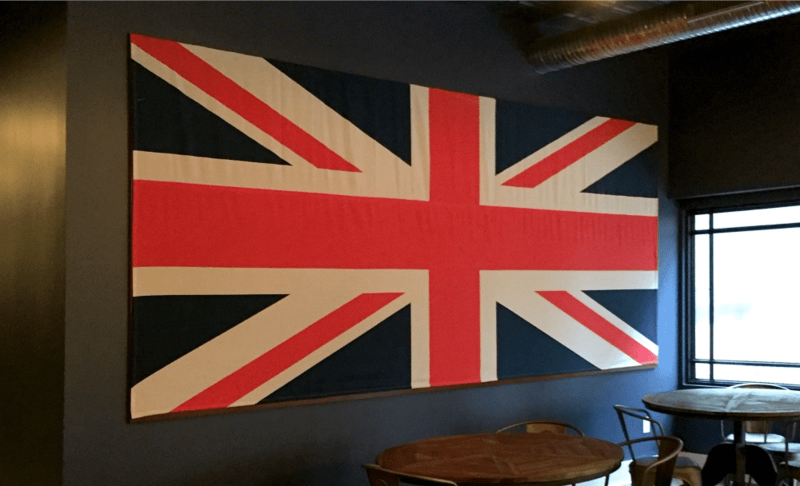 Their amazing space features an enormous wall-sized chalkboard, and our plan was to cover it with a huge Union Jack. To do this, we would need a custom 15 foot wide flag! 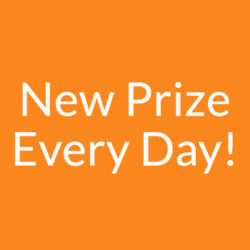 Today, we’re sharing how we turned this big idea into a finished product, with the help of Spoonflower. Step 1: Measure the area to determine how much fabric you will need. We measured our chalkboard, then added 2 inches on all sides for finishing the edges. Our final flag needed to be 181 inches x 80 inches, making the total fabric size 185" x 84." 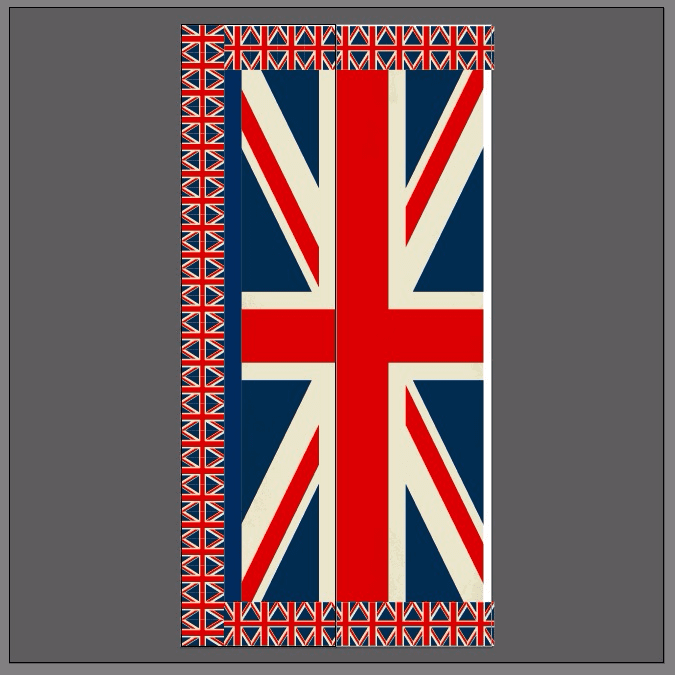 Step 2: Find a vector version of your flag online. This step is really important. Vector graphics are built using mathematical points, so they can be infinitely scaled without losing any quality (look for filetypes like .eps, .ai or .pdf). Most flag designs can be found online easily through a google search and some are simple enough to create yourself in a program like Adobe Illustrator. Step 3. Choose your fabric. Step 4: Create your document. Thanks to our initial measurement, we know that our flag will require two widths of fabric, so we enter 2 in the Number of Artboards section, and make sure that spacing between them is set to 0. 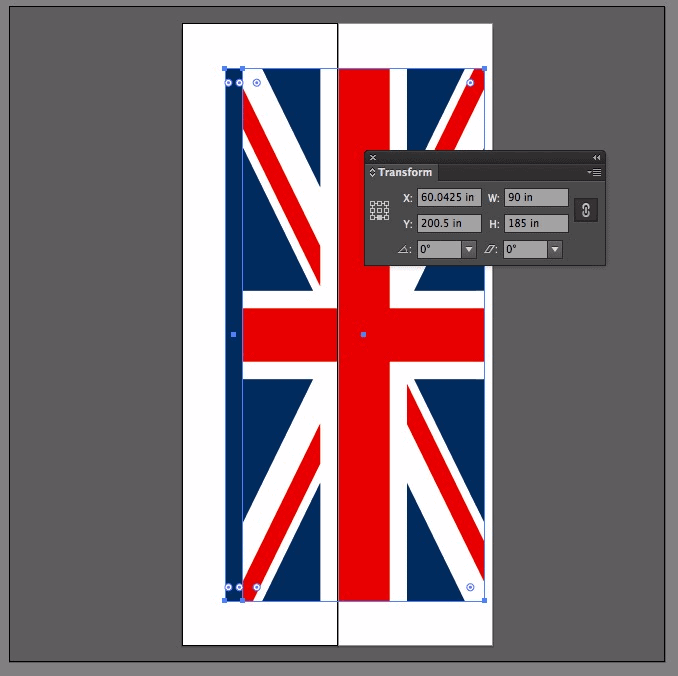 Step 5: Resize your flag and fill in any 'extra’ space. Adjust your flag placement in relation to the artboards. The ’seam' between the two artboards is where you’ll sew the two fabric panels together. For this reason, it’s ideal for one of the lines in your flag design to fall along this line. Our seam ran along the top of the main red line, which made it mostly invisible on the final product. Fill up any ‘extra’ space. We added as many small flags as we could fit in the remaining space, which allowed us to create a second project from this yardage! I added a slight color layer on top of the flag to give it a weathered look. I wanted the white areas on the flag to have an aged look instead of being bright white. Save your file, then go to File > Export. 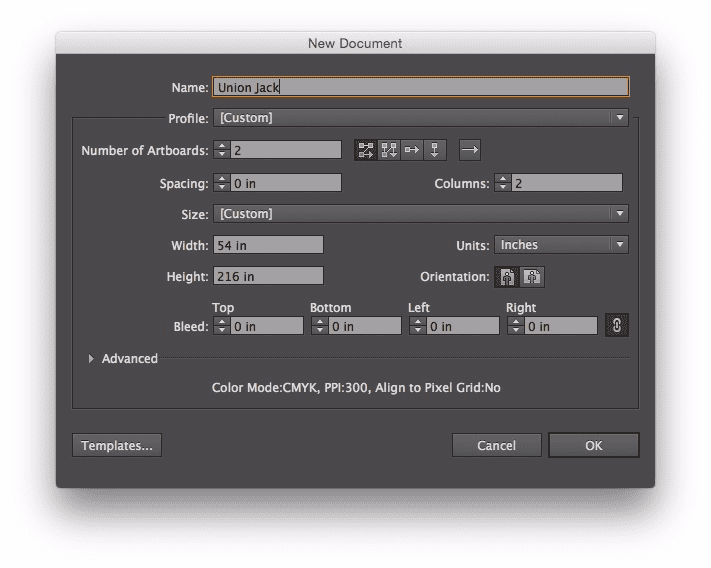 Choose the .png file type and check the Use Artboards (all) box. You will now have two .png files that are ready to upload to Spoonflower. 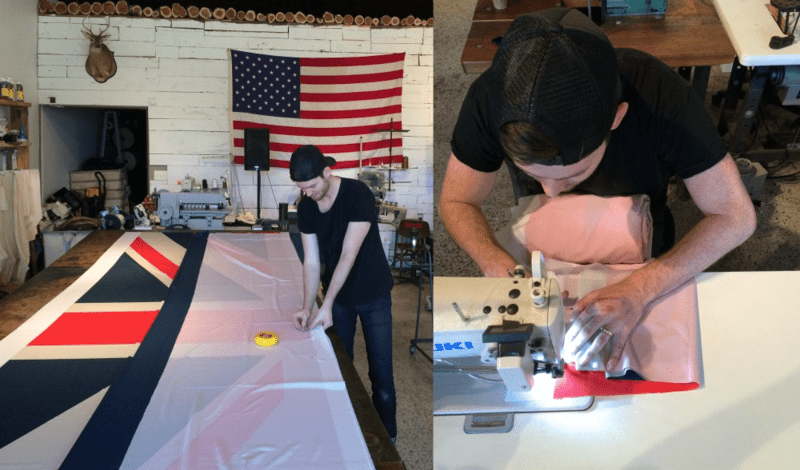 We enlisted the help of our friend Bill, from Billiam, to help us sew our flag together. His shop was the perfect space to tackle this gigantic project! When the fabric panels arrived, we cut the smaller flags off, then spread the two large flag pieces out on the work table. Pin your flag sections together, right sides facing each other. Sew down the length of the seam with a single stitch, making sure you’re inside the white border area. To make it easier to handle this much fabric, Bill folded the flag into smaller sections then rolled it up, leaving the area to be sewn accessible. This made the fabric much more manageable for running through the machine. Trim away the excess fabric, then open the flag and iron the seam you just created. Be sure your iron is on a low setting that’s appropriate for the fabric! This step will help the seam lay flat. Next, hem the edges and get the flag ready for hanging. We turned under 2 inches on all sides to finish the flag. Our plan was to use removable picture hanging strips to install the flag, so we sewed them to the top edge of the flag for maximum reinforcement. Initially, this was the part of the project we were most unsure of — how to hang a 15-foot flag. In the end, it ended up being the easiest piece! We attached the other side of our picture hanging strips to the top of the wood frame. After letting them sit the recommended amount of time, we connected the strips sewn to the flag to the ones on the frame. For good measure, we added a couple more of these strips to the bottom corners and the installation was complete. Our giant flag was ready for some serious photobooth fun. We used the smaller flags we squeezed onto our ‘extra’ fabric to create a bunting and make more party decor! To keep things simple, we didn’t bother finishing the edges of these small flags. 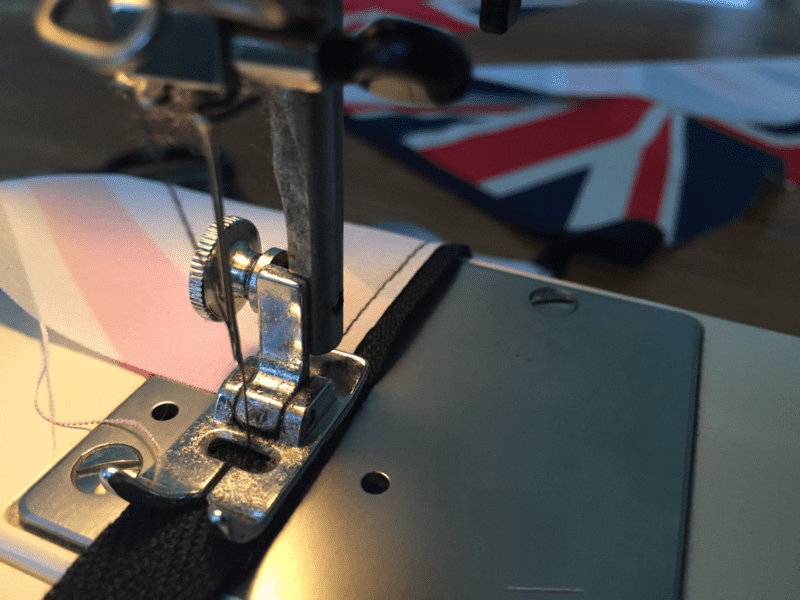 To make a really easy flag bunting like ours: cut out your flags with a rotary cutter to keep the edges straight. 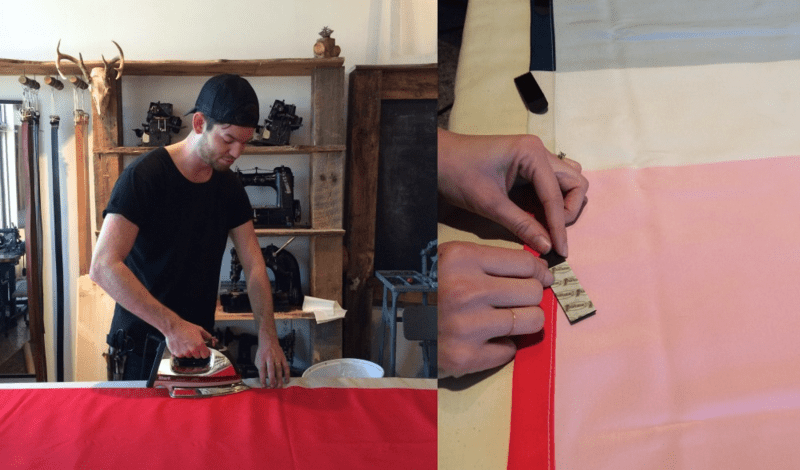 Stitch the flags to a length of twill tape, spacing them as you go (no pinning necessary!). We used a single line of stitches down the center of the tape. 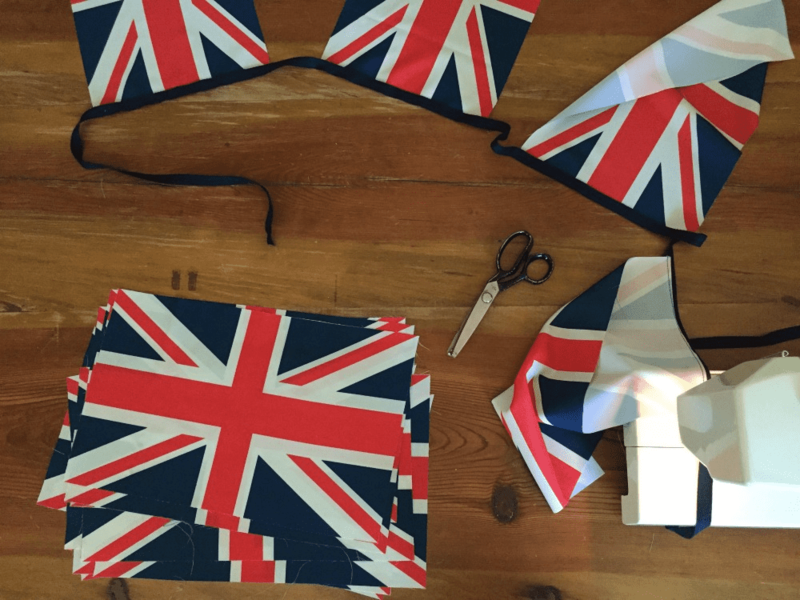 You could probably even get away with using glue to attach the flags and turn this into a no-sew project! 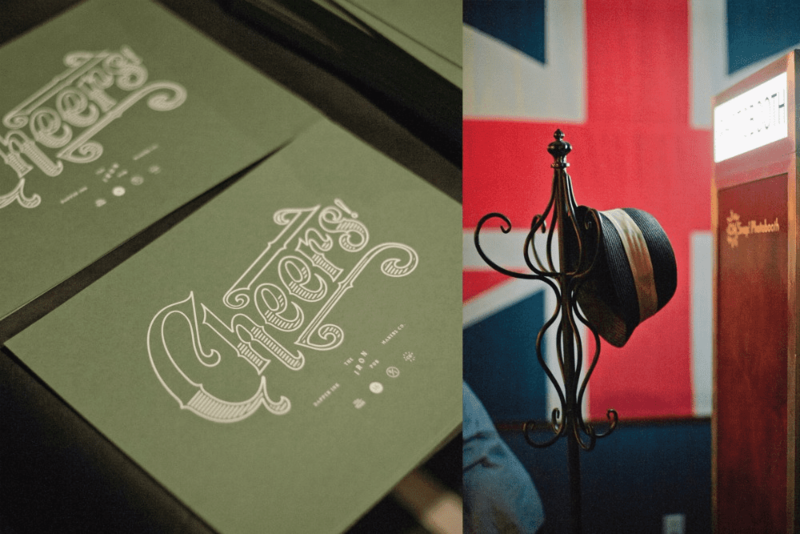 Process photos by Makers Collective, Event photos by Jivan Dave. Thanks for this informative post!! You explained it very well. As a user of both Photoshop and Illustrator, I wondered if anyone would wonder about the image resolution – and that’s the beauty of vector images, because it just doesn’t matter due to the fact that the vector points will ensure that all lines (and curves!) will be pin-sharp. Well, as sharp as the printing process will allow. Now I’m brave enough to try for larger scale works. 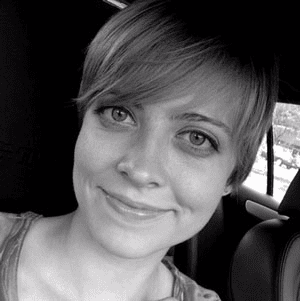 My biggest to date has only been 39″ x 56″ on http://www.twistedirony.com but this article has motivated me to try your method for an even larger work!